Gap year polo in New Zealand offers the perfect summer location, breath-taking scenery, exhilarating outdoor activities, the chance to meet like-minded young people from around the world and of course, a once-in-a-lifetime chance to live, learn and breathe New Zealand polo at it’s best, with some of the best! Swap the Northern Hemisphere winter for a balmy yet refreshing Southern Hemisphere summer and take advantage of being part of New Zealand’s polo season amidst the beautiful South Island back-drop of Canterbury. 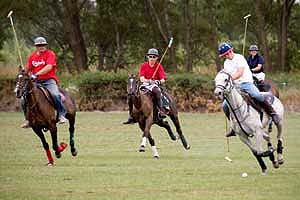 Blue Springs Polo School is located in Rangiora, North Canterbury and is approximately 30 minutes driving from the heart of Christchurch city - the biggest city in the South Island. Some of New Zealand’s (and the world’s) top tourist locations are at your backdoor, including Queenstown, Wanaka, Milford Sounds, Hanmer Springs, Kaikoura and Nelson, all within driving distance, or a quick flight! 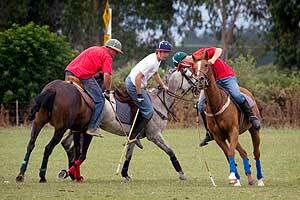 Offering limited spaces to a select number of students each polo season, Blue Springs Polo School is a popular base for Australian, English and American players looking to enjoy a Kiwi gap year polo experience. The Polo School has gap year placements running from the start of Spring (approximately September) right through until the end of the summer polo season (approximately March/April). Gap year students have a choice of living on-site in Blue Springs Homestay with polo pro and owner of Blue Springs, Mark Donald, or they can source independent local motel, farmstay, homestay or bed and breakfast accommodation. The Polo School is a purpose-built, ultra modern equine facility boasting an immaculate full-size polo playing field, spacious stables, wooden horse (for fine-tuning your swing), arena and superior New Zealand polo ponies to suit all levels of players, from beginner to high goal! 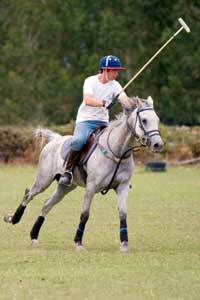 Mark Donald is the owner of Blue Springs Polo School and has been playing polo for over 20 years as well as being a popular polo instructor for the past 15 years, teaching local and international players from all levels. Blue Springs caters for gap students at all levels, from young (and not so young) players suffering an obsession with the sport of polo, to students interested in playing polo on a social level, to students from different equestrian backgrounds keen to improve their general horsemanship and riding skills. For further information regarding their popular gap year polo program contact Mark Donald directly. All contact information can be found via the Contact Us page within this site.